Akoka community members with over 3000 population living with intellectual disabilities have received free Malaria and HIV testing and treatment at the St. Finbarr’s College, Lagos as Coca-Cola partners with Special Olympics Nigeria, YEDI and Exxon Mobil to mark this year’s World Malaria Day, reports NaijaAgroNet. The 2015 World Malaria Day theme, “Invest in the future, Defeat malaria” provides a common platform for countries to showcase their successes in malaria control and unify diverse initiatives in the changing global context. National Director, Special Olympics Nigeria, Ms. Naomi Saliu-Lawal, NaijaAgroNet gathered said they envisage a malaria free country and pledged continuous commitment to health care services. “We look forward to a time when malaria will be better managed and there will be fewer casualties. We will continue to educate people about malaria and provide health care services with our partners.” She said. Also speaking at the event, Communications Manager, Coca-Cola Nigeria Limited, Sam Umukoro said “Coca-Cola is committed to leveraging the power of partnerships such as this one to promote the health and wellbeing of our communities. We recognize that when our communities are healthy and sustainable then businesses can thrive”. The event had volunteers among the employees of Coca-Cola Nigeria Limited, Exxon Mobil and Special Olympics Nigeria, and featured side attractions including music and dance and a Unified Soccer novelty match by some of the Special Olympics athletes. 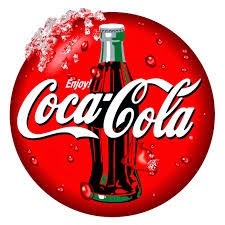 Coca-Cola Nigeria Limited, world's largest beverage company, as NaijaAgroNetlearnt is a subsidiary of the Coca-Cola Company with consumers in more than 200 countries enjoying its beverages at a rate of more than 1.9 billion servings a day. NaijaAgroNet also gathered that while efforts to prevent, diagnose and treat malaria have gained important momentum over the past years, an annual shortage of N716.580 billion (US$ 3.6 billion) threatens to slow down progress, particularly across Africa where high-burden countries are facing critical funding gaps. Unless the world can find a way to bridge the funding gaps and endemic countries have the resources and technical support they need to implement sound malaria control plans, malaria resurgence will likely take many more lives.